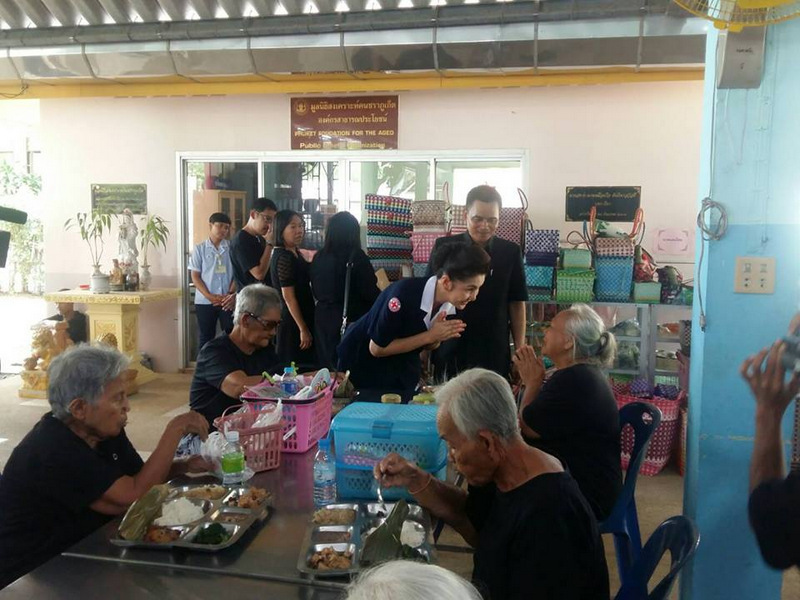 PHUKET: The Phuket Chapter of the Thai Red Cross marked the charity organisation’s 124th anniversary in the country yesterday (April 26) by giving free meals at Phuket’s welfare home for the elderly in Pa Khlok. 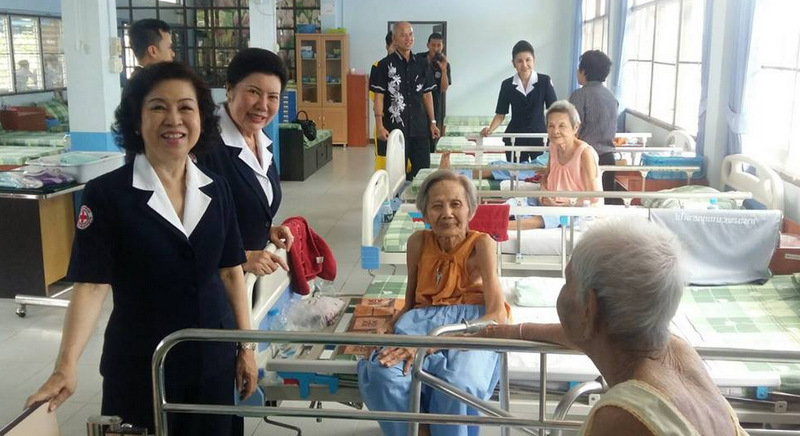 Sudawan Plodthong, wife of Phuket Governor Norraphat Plodthong led the festivities. Ms Sudawan, as wife of the Governor of Phuket, is the new president of the Phuket Chapter of the Thai Red Cross. “It is good chance to celebrate the 124th anniversary of Thai Red Cross. 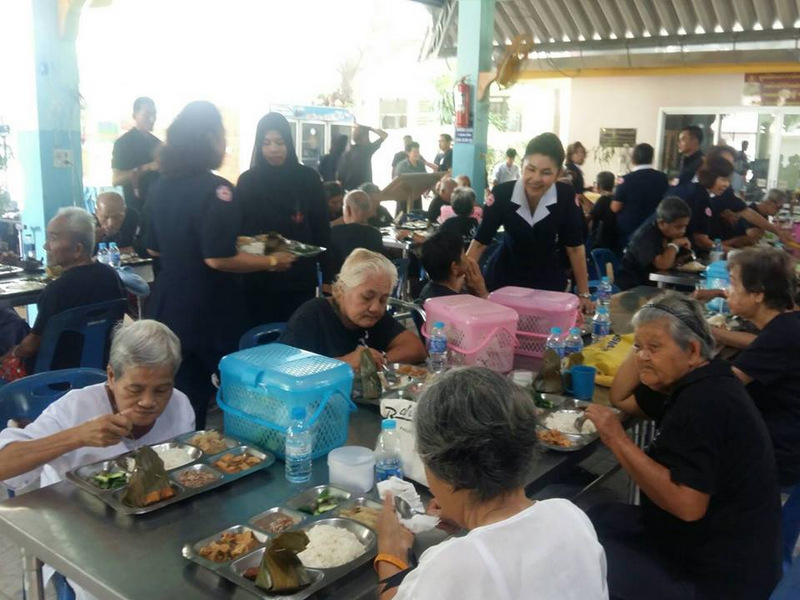 It was founded in 1893 in the reign of King Chulalongkorn to help the victims of the territorial conflicts along the borders of Thailand and French Indochina,” Ms Sudawan explained. “The Thai Red Cross carries out activities under the fundamental principles of the International Red Cross and Red Crescent Movement. Our main focus is on providing healthcare services, providing assistance in times of disaster, such as floods, and assisting with blood transfusion services to save lives,” she added. 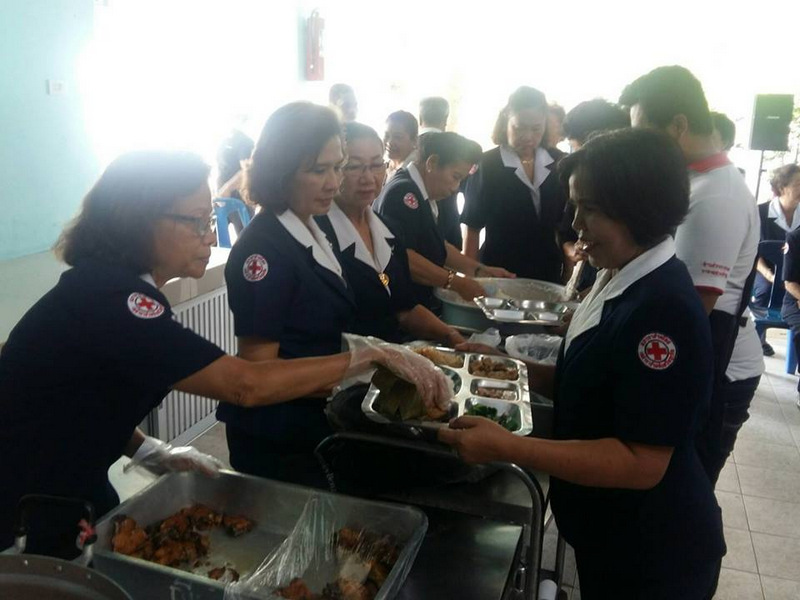 The Thai Red Cross relies on volunteers to carry out its projects, Ms Sudawan noted. 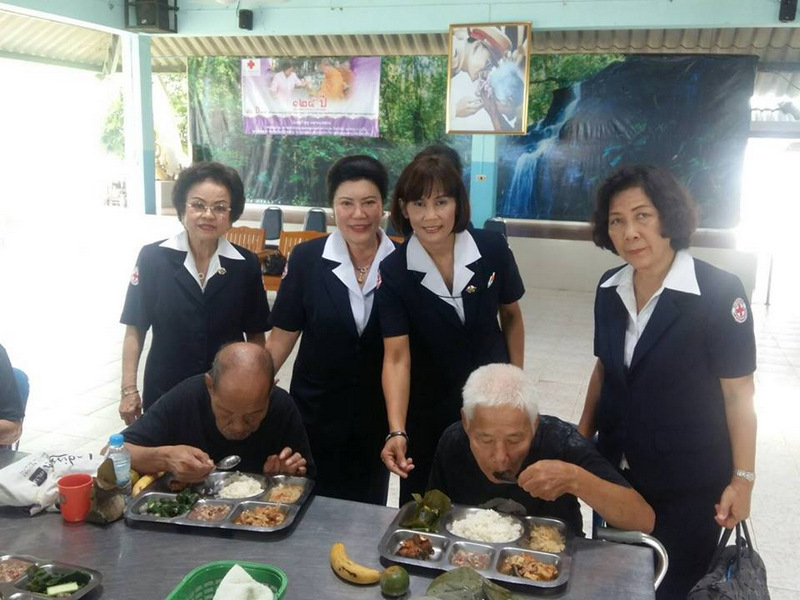 “Thailand as an ageing society is an important issue as the elderly will comprise 20% of the country’s population by 2020,” she said. 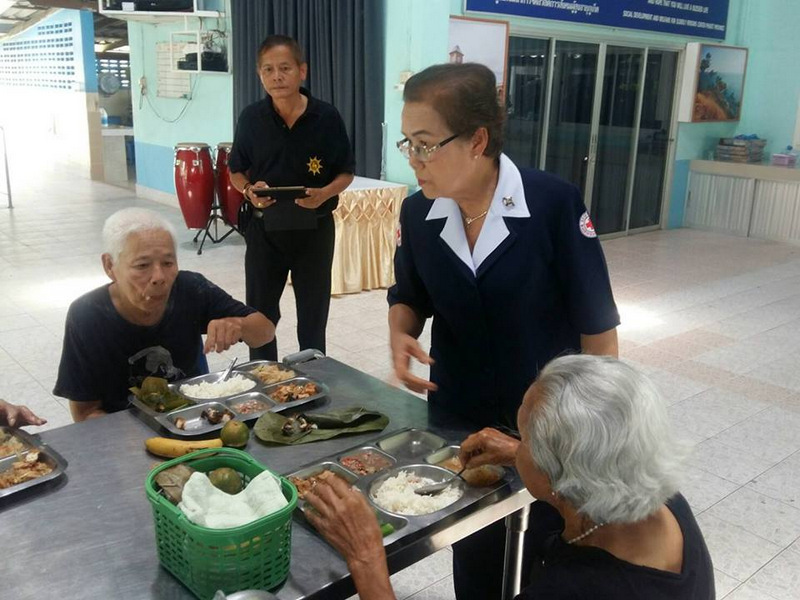 “The Thai Red Cross providing medical health services and healthy meals to the elderly helps them to maintain good health and enjoy a good quality of life,” Ms Sudawan said.